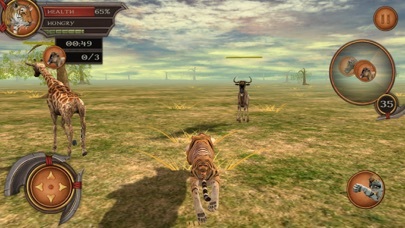 Play as one of the world's most feared animals : the Tiger. Go out hunting for animals. Some of these animals are ready to attack you if you get too close. Grow your giant cat into an experienced adult and dominate the hunting. 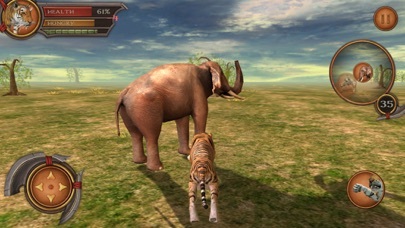 SURVIVAL IS KEY Hunt for as long as you can before you run out of energy HIGH QUALITY 3D GRAPHICS High quality 3D graphics and fun game play REAL TIGER EXPERIENCE Realistic animal encounters will have you playing for hours. Animal Safari hunting encounters are: Elephant, Rhino, Lion, Giraffe, Cheetah, and Antelope. UPGRADE YOUR ANIMAL Collect enough experience points to upgrade your Tiger. 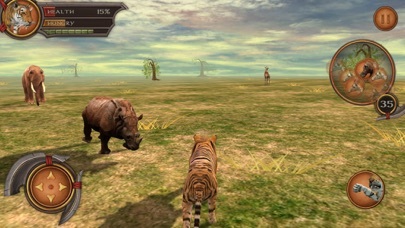 ANIMAL SIMULATION AT ITS BEST Soon to become the best animal simulator app on the store? Too soon to tell, but that is our goal. We aim to update the app with better and better features as time goes on. Try and live the life of a Tiger. It is realistic and wild. 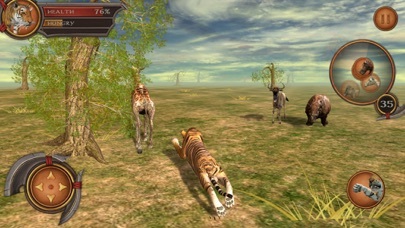 If you enjoy this 3D game, please try our Bear Simulator, Leopard Sim, and Deer Simulator games. Now start hunting! So I would die quickly and doesn't give you a chance to kill something. And you run out of energy fast. And your hunger bar goes down quickly ALSO. So I recommend not getting it. It does look cool if they would update it to increase the time for energy and hunger and the food sources and how easy to kill them, it would be a game I would always recommend to my friends. Hint hint to the creators. This game does what it says on the tin. You play as a tiger, run around, and kill things. What more does one expect? It's not the most riveting of games, true, but I was entertained for the first 20 minutes or so. 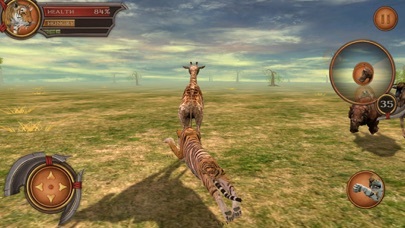 If they added more variety to the gameplay, fixed the graphical issues with the tiger model (it's eyelids protrude like a pair of horns or something), and did something more with enemy ai (I'd like to see more than giraffes-run-away-and-everything-else-goes-Rambo) I think they would have a solid little time waster here. This game is so simple and fun.It keeps you playing so the tiger won't go hungry.Just fix the eye glitch on the tiger and it will be perfect.